As someone who suffers with dehydrated, lacklustre skin, I rely on highlighters on a daily basis to help me deliver glowy cheekbones and a luminous base. 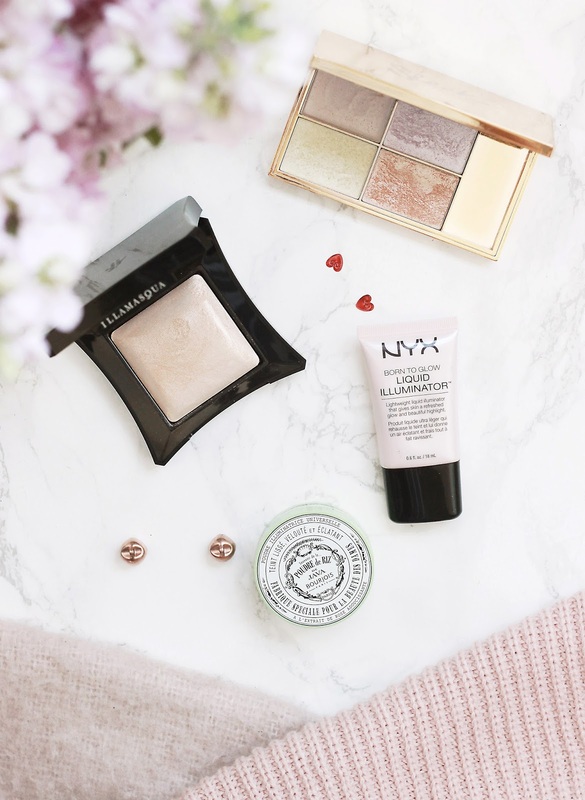 I've recently pulled out some old favourites and discovered some new must haves, so I thought I'd share my current top everyday Summer picks with you today. First up is a new addition and the Illamasqua OMG Beyond Powder has been a much welcomed addition to my makeup collection. Although it can be built up to create a more intense sheen, once applied lightly it adds a dreamy glow to the complexion that is perfect for everyday wear. Whenever I use this I feel magical - What more could you want? To me, the Sleek Solstice Palette screams Summer. It's got an array of glow-inducing powders that blend well, are incredibly pigmented and compliment my skin tone. It looks gorgeous in the inner corners of my lids, across my cupids bow and anywhere else that needs perking up. For a subtle highlight and one that can be used all over, I couldn't recommend the Bourjois Rice Java Powder more. It's great at adding a healthy look to the complexion without being too overpowering or glittery. I particularly like using this across my cheeks, in the centre of my forehead and on my chin to help add a glow to the skin. It's super easy to use, is lightweight due to it's loose powder formula and can still be paired with a highlighter for a day-to-day look. Liquid highlighter is a great multitasker as it can be used under foundation for a subtle glow or on top of your base for a more intense finish. The NYX Sunbeam Liquid Illuminator is my new go-to, as it is reminiscent of Nars Copacabana, but for only a faction of the price - perfect if you're on a budget! What are your current favourite highlighters?